1 L.B. 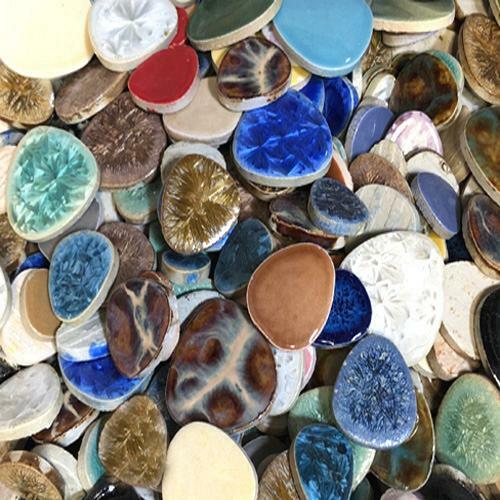 OF OUR QUALITY CERAMIC PEBBLES, BUT IN A MIX OF ALL COLORS! SIZES VARY FROM 1 1/2" TO 3 1/2".